The winter nip in the air heralds the hours of celebration in South Point School. 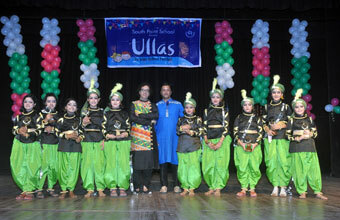 The occasion is Ullas, the Inter-School Competition for junior pupils. It is held over two days and the range of activities involves hundreds of pupils from schools across the city. 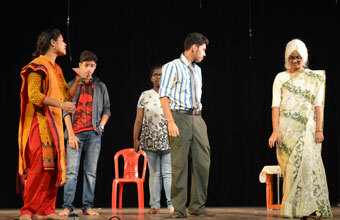 They impress all with their skills in art, singing, dance, acting and quizzing and other areas. Ullas is a festival marked by unlimited fun and exhibition of talent. 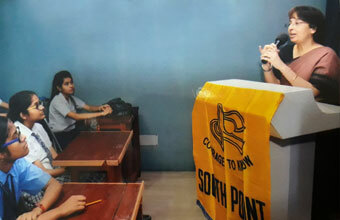 A popular tryst for school quizzards, Q-Point draws the best from participants who strive to outwit each other in prelims and over various rounds in the finals. Masquerade presents a bouquet of original one-act plays, displaying histrionics at its best from pupils. An impressive range of themes, combined with excellent performances makes judges — always eminent theatre practitioners – wonder which plays to crown the best. Young vocalists from South Point High School as well as other schools take the stage to showcase their musical talent in Satrangi. It is moderated by an eminent singer and judged by stalwarts from various fields of music. 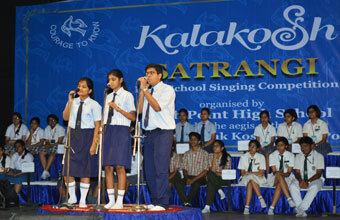 Every year, the rise in number and level of perfection among young singers amazes the rapt audience. 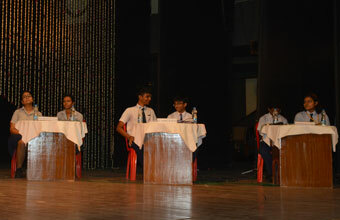 Student debaters of the city get together at the Inter-School Debate, Cerebrate, and their forceful expressions and perspectives for and against a given motion make the competition highly enjoyable. Youngsters impress all with their articulate speeches and intelligent construction of thought processes. 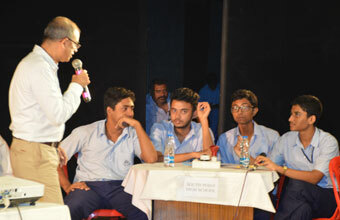 It is held in English, Bengali and Hindi, meant for Classes IX and X as well as Classes XI and XII. The participants show an impressive flair for writing on many a contemporary issue. Chessmate is held in association with the Alekhine Club. It is played in five rounds under FIDE rules, in accordance with the Swiss League. The enthusiasm among the participants of this mind-game is most palpable. 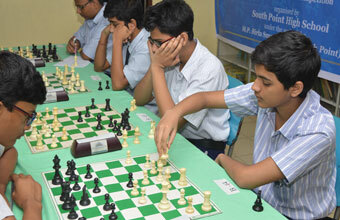 South Point can proudly call itself the cradle for several young Chess wizards. Diptayan Ghosh became the holder of the Grand Master title as the youngest player from West Bengal at the age of 17 when he was a pupil of South Point High School.